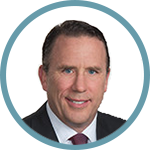 Kevin joined VMS in April, 2015 as President & CEO with over 30 years of financial technology experience. 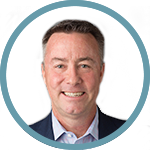 Before joining VMS, Kevin was President, COO and Board Member for Backstop Solutions Group in Chicago. Prior to Backstop, Kevin spent over 20 years at SunGard, most recently as President of SunGard Wealth Management and CEO of SunGard’s Brokerage Services Group. Kevin had strategic and P&L responsibility for $400 million in revenue across 7 major product areas including three trust and custody systems (AddVantage, Charlotte and Global Plus), two retirement services systems (Omni and Relius), an electronic trading network (SunGard Transaction Network) and a financial planning solution (WealthStation) with over 1,400 associates operating in 15 locations around the world. With over 20 years of financial technology experience, Bob is focused on accelerating revenue growth and advancing the market penetration of all VMS products. He is a current board member of Envestnet Retirement Solutions and an advisor to Saxon Securities. Bob was the former COO of SunGard’s Wealth Management business which includes a range of solutions and services targeted at advisors, banks, retirement providers, broker dealers and corporations. Prior to his Wealth Management role, Bob was the COO of SunGard Transaction Network (STN), now known as SunGard Global Network (SGN), where he played a significant role in SGN’s growth from a start-up to one of the largest global financial services networks in the world. Rose is Senior Vice President and General Counsel at VMS. 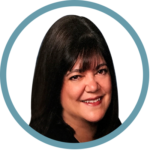 Rose has been an attorney in the financial software and services industry for the past 23 years specializing in intellectual property and business transactions in the wealth and retirement, brokerage and trading, mutual fund and asset management space. Rose served as an Assistant General Counsel at SunGard Data Systems, Inc. In her role at SunGard, she acted as the head legal partner for several segments, including Wealth Retirement and Administration, Asset Arena, and the Brokerage Services Group. Rose was lead counsel for SunGard’s trust and custody products, investment systems products and retirement products. In addition, she served as lead legal contact for several key client relationships and was responsible for successfully closing some of the largest financial contracts within the company. Erin brings extensive experience in operating as a HR Department of One for rapidly growing and cutting-edge companies. As Director of HR, Erin is responsible for attracting and retaining top talent across all functional departments within VMS by driving the vision that the Executive Team has for the culture of the company. 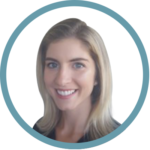 Prior to joining VMS, Erin worked for several innovative companies overseeing all aspects of HR. Her accomplishments include successfully implementing benefits programs, establishing standard hiring practices, and planning regular employee appreciation events. Justin is responsible for the financial management of the company, including all finance, accounting, and budgeting functions. Previously, he was the Senior Director of Accounting at Richmond International Raceway and Darlington Raceway, portfolio companies within publicly traded International Speedway Corporation. Justin’s role included overseeing all financial management, strategic planning, and budgeting functions for multiple business units. He has a Bachelor of Science in Business Administration and a Master of Professional Accountancy, both from West Virginia University. In addition, he is a Certified Public Accountant and a member of the American Institute of CPAs as well as the Virginia Society of CPAs. As Vice President of Product and Marketing, Daniele is responsible for managing Financeware's product portfolio roadmaps and overseeing the implementation of Financeware's brand and marketing strategy. Prior to joining Financeware, Daniele spent 7 years at VMS working with cross-functional teams to build and implement financial technology products and services. 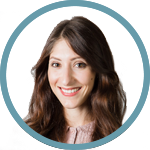 Daniele received her Bachelor of Arts from the University of San Diego, California and has completed professional certificates from the University of California, Los Angeles and Pragmatic Institute. Dennis has served as Chairman, Chief Executive Officer, and Chief Information Officer for QUODD Financial Information Services for the past 14 years. In addition to CEO responsibilities, Dennis was responsible for strategic planning, technology, systems, applications and data center infrastructure. During his tenure, QUODD's revenue increased by over 700 percent. Prior to QUODD, Dennis was the Chief Information Officer and Operating Committee member at Tucker Anthony Sutro Securities from 1994 - 2003. Dennis was responsible for rebuilding the entire IT infrastructure for clearing, trading, market data and networks coast-to-coast with hub sites in Boston, New York, San Francisco and 100 branch offices at a 40% cost reduction over the original IT budget. He also helped in the acquisition and the sale of Tucker Anthony Sutro for $800 million. 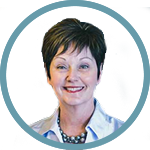 As President of VMS, Marguerite is responsible for overseeing operations and technology across all VMS products. 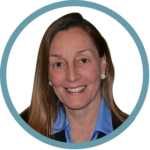 Marguerite has more than 25 years of experience in the financial services industry, specifically in brokerage, retirement and trust operations, as well as client delivery of services and software. Prior to joining VMS, Marguerite held executive leadership positions at Backstop Solutions Group and SunGard. Marguerite graduated from Ohio State University. Matt serves as Wealthcare's President. Most recently and prior to Wealthcare, Matt served as the Chief Operating Officer of Wescott Financial, a $2 billion RIA based in Philadelphia. 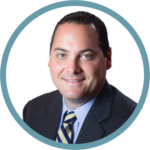 With more than two decades in the financial services industry, Matt has been involved in a number of transformative business models and has remained focused on building world class organizations with a focus on the client. As a founding partner of WR Hambrecht+Co, Matt launched the retail brokerage offering and helped to design and launch the auction-based OpenIPO system. 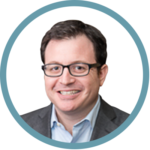 As a consultant to Vanguard, Matt was involved in the technology and business transformation that created the infrastructure that underlies the firm's Personal Advisor Services offering. Matt is a graduate of the University of Toronto and resides outside Philadelphia with his wife and three children. Previously, Jim was a Division CEO for SunGard's Financial Systems division, a $2.5 billion business with 13,000 employees worldwide. During his tenure, the division grew top line 40%, from $2.0 billion to $2.8 billion and EBITDA 43%, from $400 million to $700 million. 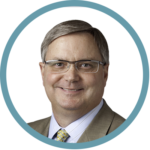 While at SunGard, Jim also led software and service businesses and in the areas of Wealth Management, Insurance, Corporate Treasury, Trading, Risk Management, Brokerage and Consulting Services. He also sponsored and integrated approximately 40 key acquisitions and played a key role in SunGard's 2005 $11.5 billion leveraged buyout with a consortium of private equity firms including TPG, SilverLake, KKR and Bain. Prior to SunGard, Jim held senior management positions at Premier Solutions Inc., a Safeguard Scientifics technology company that was acquired by SunGard in 1997. He began his career at EDS in Dallas where he held various technical, sales, and managerial positions during a span of 10 years. Jim is currently on the Board of Directors of Archer, Wealthcare Capital Management, Magna5, USPack Logistics and AG Delta of Singapore. 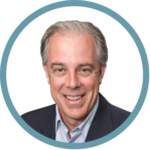 Bob is a co-founder of North Island Ventures and Chairman of Virtu Financial, Inc. He previously served as Chairman of the Board of Directors of The Nasdaq Stock Market LLC (“Nasdaq”) until May 10, 2017 and as Chief Executive Officer of Nasdaq from 2003 to 2016. During his tenure, Bob led Nasdaq through a series of complex, innovative acquisitions that extended the company’s footprint from a single U.S. equity exchange to a global exchange and technology solutions provider, nearly quadrupling revenue, growing annual operating profits by more than 24 times and achieving a market value of over $11 billion. Bob is a member of the Economic Club of New York and the NYU Stern Board of Overseers. He is Founder and Chairman of the USA Track & Field Foundation, which supports emerging athletes and inner-city youth athletics. Bob holds a Masters in Business from New York University, Stern School of Business, and a B.A. in English from Iona College. Anna is a board member of NEX Group plc, a financial technology company based in London. Most recently, Anna worked for Nasdaq which she joined in 2000 and spent 15 years with the company. Anna held several senior executive roles including Chief Information Officer where she was responsible for the strategic planning, delivery and operational support for all Nasdaq technology systems and infrastructure. She also established the Global Technology Solutions division, a dedicated technology and software business unit providing market technology and corporate intelligence solutions to the capital markets. Prior to Nasdaq, Anna worked for CIBC World Markets and also spent 15 years at Merrill Lynch in a variety of technology and operations leadership roles. Anna studied Economics at Toronto’s York University and gained an MBA from the Schulich School of Business, York University. Kevin joined VMS in April, 2015 as President & CEO with over 30 years of financial technology experience. 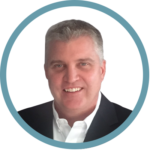 Before joining VMS, Kevin was President, COO and Board Member for Backstop Solutions Group in Chicago. Prior to Backstop, Kevin spent over 20 years at SunGard, most recently as President of SunGard Wealth Management and CEO of SunGard’s Brokerage Services Group. Kevin had strategic and P&L responsibility for $400 million in revenue across 7 major product areas including three trust and custody systems (AddVantage, Charlotte and Global Plus), two retirement services systems (Omni and Relius), an electronic trading network (SunGard Transaction Network) and a financial planning solution (WealthStation) with over 1,400 associates operating in 15 locations around the world. Kevin is also the Chief Executive Officer for Financeware, the industry’s leading umbrella group focused exclusively on connecting and perfecting the tech infrastructure of the new wealth experience. 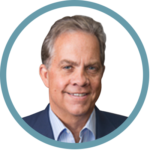 Skip is an executive with over 25 years of successful entrepreneurial, private equity investing and fund leadership experience. He has operated in a wide range of industry segments and many stages of company maturity; and has taken a lead role in the formation and growth of several industry-leading companies such as WebLogic (acquired by BEA Systems/Novell), Procurian (acquired by Accenture), SkyBitz (acquired by Telular Corp.) and ICCNexergy (leading lithium ion battery pack manufacturer in North America). Most recently, he served as COO and Managing Principal of Inverness Graham Investments, a lower middle market buyout fund with $250 million under management. Prior to Inverness, Skip was a Managing Director with Internet Capital Group and a Senior Associate at TL Ventures and Safeguard Scientifics where he was responsible for lead investing, active management of portfolio companies and transaction negotiations. Additionally, Skip has deep operating experience, having founded, built and sold two companies. He currently serves on the Board of Directors of Wealthcare Capital Management, Magna5 and Navigate Consulting. Lee is an investor with over 10 years of operationally focused audit and principal investment experience. Lee's experience includes the evaluating, managing and assisting of lower middle market businesses and helping to conceptualize, implement and manage value creation initiatives at an operational level. 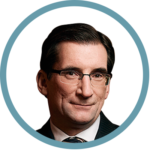 Before joining NewSpring, Lee was a Summer Associate with OMERS Private Equity, the direct private equity group of the Ontario Municipal Employee Retirement System, a $50+ billion Canadian pension fund, focused on middle market leveraged buyouts. Prior, Lee was a Senior Analyst with Versa Capital Management, a distressed and special situations private equity fund, where he worked on acquisitions and portfolio company operations across a variety of industries. Prior to Versa, Lee was with Ernst & Young LLP's Assurance and Advisory Business Services practice working in industries including insurance (life), gaming, government contracting and benefit plans. Lee received his MBA from New York University's Stern School of Business with specializations in Finance and Entrepreneurship & Innovation and received his BSBA from the Olin School of Business at Washington University in St. Louis with majors in Finance and Accounting. He is also a Certified Public Accountant (inactive). Lee currently serves on the Board of Directors of Magna5 and USPack Logistics. 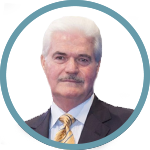 A sought-after industry speaker, Bill is a strategic advisor to the wealth management, asset management and fintech industries. Most recently, he was Divisional President for Business Development, Financial Advisor & Institution Solutions at LPL Financial, where he grew the firm’s advisor headcount from 6,500 in 2005 to more than 16,000 in 2018. At LPL, Bill was involved in 12 major Broker-Dealer acquisitions, and led the purchase of National Planning Holdings. This included the transition of the vast majority of the company’s nearly 3,000 financial advisors in 2016, which added $72 billion in assets under management to LPL’s platforms. Additionally, from 2007 through 2017, he grew year-over-year revenues by 120%. Prior to LPL, Bill held senior management roles at Fidelity Investments and Merrill Lynch Trust Company. Bill is an active board member with San Diego Big Brothers & Big Sisters, and a former board member for LPL Life Insurance, Insured Retirement Institute (IRI), SIFMA, Money Management Institute (MMI), and Invest In Others (IIO) Charitable Foundation. He earned a Bachelor of Science from Boston College, and has completed advanced management programs at both Harvard Business School and Stanford Business School. Bill also holds FINRA Series 7, 24, 63 and 65 securities licenses.